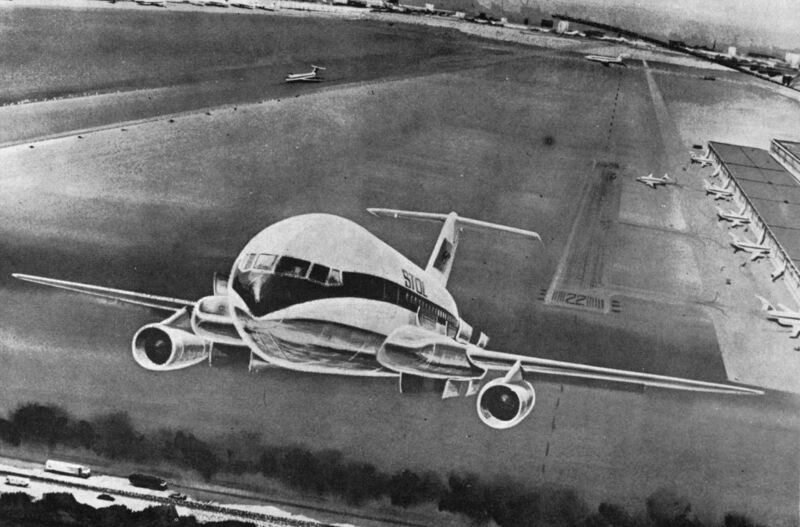 General arrangement of the "datum" HS.141 and, bottom right, the stretched variant with a fuselage length of 135 ft 2 in (41,2m). 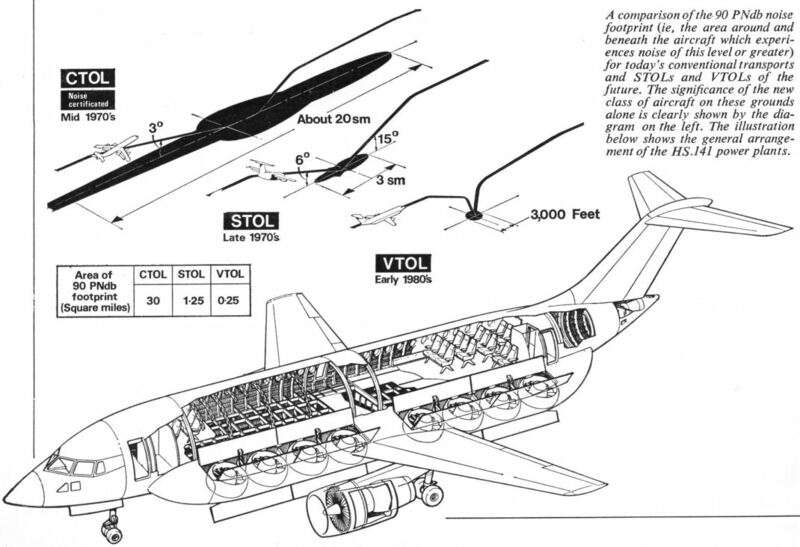 Differentioal thrust and tilt of the lift-fan engines would be used by the HS.141 for control at low forward speeds. An impression of the HS.803 project.